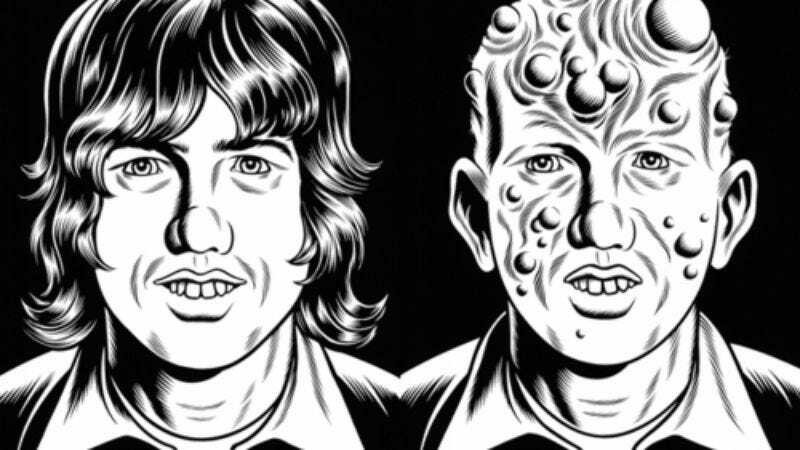 News of Charles Burns’ Black Hole being adapted into a movie by David Fincher first surfaced in 2008, part of an era of cautious optimism when it seemed like every dark, cultishly adored graphic novel—from Sandman to Preacher to Y: The Last Man—was well on its way to adaptation. (Back before we all became jaded and mistrusting, then moved out to the desert to be alone with our thoughts and woodwork.) But just as all of those titles have continued to show occasional signs of life, The Hollywood Reporter passes along the word that Fincher is indeed still planning on doing Black Hole someday, now with the help of Brad Pitt’s Plan B production company. As before, there’s no set timeline on when it might actually start shooting—or whether it will be before Disney’s remake of The Black Hole, and who will have to change their title first (Hint: It's probably not Disney). But for a project thought dead for several years now, it’s reassuring to see it’s still bei. And after all, Burns’ story about a group of teens who develop disturbing, STD-induced mutations is more timely than ever, considering that today’s horny, sexting kids need to learn right now that that kind of fooling around will inevitably lead to a second mouth growing out of your neck.